An architect shows up at an old country house he will be designing additions for only to find a room full of party guests he has all seen in his dreams. He begins predicting events that all begin happening to the guests. There’s a psychiatrist there who is skeptical, so the other party guests all begin telling tells of the unexplained that they either experienced or were told about. As each guest tells his/her tale, they are enacted I the film. That is a FRAME STORY. A FRAME STORY is a literary technique used to collect tales under one story. It can be used as an introduction or perhaps merely to set the stage for the other tales. We are familiar with the technique from such stories as A Thousand and One Arabian Nights, The Decameron, and my favorite The Canterbury tales. It was used in Wuthering Heights, Mary Shelley’s Frankenstein, and in such movies as Amadeus, The Princess Bride, and Titanic. The dream fame is also familiar to use because of Alice in Wonderland and The Wizard of Oz. It’s a clever way of collecting tales that normally haven’t much in common. Dead of Night does just that. Many consider it one of the greatest Portman dues ever because it feels so unified – not like a collection of disparate tales, though they run the gamut from eerie and scary to funny and macabre. 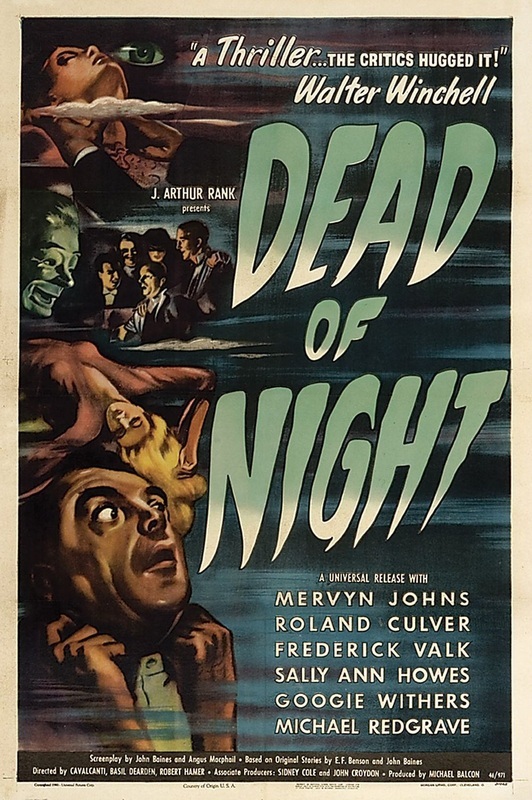 I’m sure much of a modern audience would scoff at the thought of a 1945 black and white film begin scary at all, but remember that’s due to the fact that these tales have had many imitations that followed. How many times have wee seen a ventriloquist’s dummy talk? 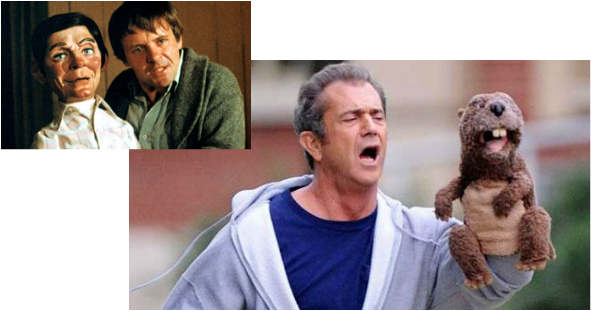 If it weren’t for Hugo, there wouldn’t have been a Fats in Magic or the hand puppet in Mel Gibson’s The Beaver. These were the original tales and they are all framed nicely in a creepy narrative loop. Whatcha got wrapped around your narrative?